Hoi An sits right by the South China Sea, and was once an important port of call on Southeast Asian trade routes. Hoi An sits right by the South China Sea, and was once an important port of call on Southeast Asian trade routes. Goods made their way from the Far East to the west, and the Japanese and Chinese traders, in particular, and left their mark here. Cloths and silks were Hoi An’s mainstay, and as you’re walking down the streets of the Old Town, you’ll quickly learn that even today, it offers great bespoke tailoring. There are plenty of stores advertising this fact, and they often promise clothes made with the ‘finest Hoi An silk’, tailored in a day or less. 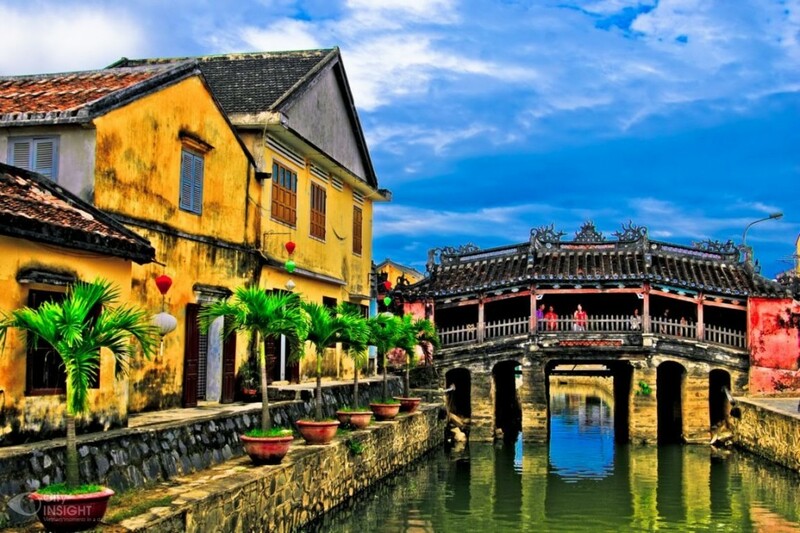 But the best place to get a sense of the mixed heritage is in Hoi An’s Old Town, a UNESCO World Heritage Site. A ticket will allow you into a selection of the buildings here, including an old residential property that’s been preserved to showcase the meeting of Chinese and Vietnamese architecture that was once a Hoi An signature, along with a musical performance and the museum. Or you could just amble about at no expense and take in the sights and smells. 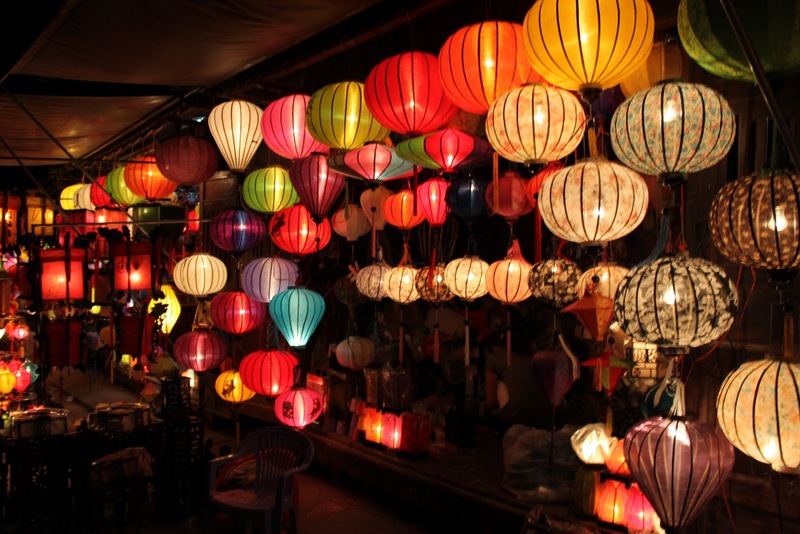 Nowadays, Hoi An is best known for two things – cao lau and silk lanterns. The first is a soupy noodle preparation, the broth dotted with pork and greens. 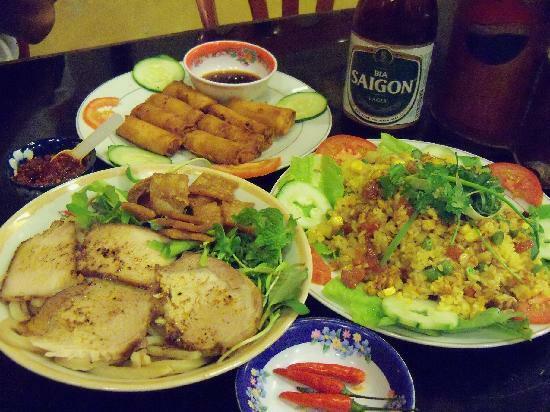 Much like a pork needle soup you’d find pretty much anywhere in this region, except, perhaps, for the fact that a true cao lau can only be made using the water from one particular well in Hoi An – connoisseurs would know the difference! The silk lanterns, though, aren’t hard to recognize at all. In a kaleidoscope of colors and patterns, they’re hanging everywhere, and it’s quite a thrill when twilight hits and lights within are turned on. It’s a stunning sight and the absolute best to be here is on a full-moon night – for that one night every month, all other lights are turned off, and the Old Town is lit by these multicolored lanterns, a carnival unfurls, with music and dance and games, and plenty of food and drink. Even without that though, there’s a carnival atmosphere in the air, although a rather subdued one. The riverside cafes are full of people from across the world sharing stories of their travels, and you’ll do well to settle down among them. There’s a train to catch back to Ho Chi Minh City, and a flight out of there to deal with afterwards, but for now, soak up the curious amalgamation of sounds and smells that make this corner of the world what it is.